3ABSN Television and radio programming on cable and satellite includes gospel music, vegetarian cuisine, weight loss, exercise, organic gardening, and more. Advent Source As the official ministry resource distribution center for the North American Division, AdventSource sells over 5,000 resources for pastors and local church leaders. Adventist World Radio Adventist World Radio is the international broadcast ministry of the Seventh-day Adventist Church. Its mission is to broadcast the gospel to the people of the world. Amazing Facts Amazing Facts is an international Christian ministry spreading the gospel to all the world. Audio Bible Listen and read the King James Audio Bible Online for free. Bible Info Bibleinfo.com helps people find answers to life's questions. Here you will find counsel, direction, encouragement, and help — all from God's word. Bible Study Fun for Kids Fun for kids resources. Carolina Adventist Book Center Adventist Book Center Online. Your source of Adventist literature and music. Digital Hymnal Collection of MIDI files, lyrics, and historical notes of Christian hymns based on the SDA Hymnal. Family Life Help for today, hope for tomorrow. Fletcher Park Inn Fletcher Park Inn (FPI) is a Christian retirement community nestled in the heart of the spectacular mountains of Western North Carolina. It Is Written It Is Written is an internationally broadcast Seventh-day Adventist Christian television program founded in 1956 by George Vandeman. Lelia Patterson Center Facility provides physical fitness, health and nutrition, strength training and aquatics. Lifestyle Magazine Offered by Faith for Today. Previous programs available in Real Audio and Real Video format. Park Ridge Health Park Ridge Health is a full service hospital in Hendersonville, North Carolina that offers complete medical services. Pathfinders Online Official NAD Pathfinder site. Program for youth in Grades 5-10 offering action, adventurer, challenge and group activities that produce team spirit and loyalty. Positive Life Radio Positive Life Radio brings encouraging and hope-filled Christian music to the Pacific Northwest and the world. 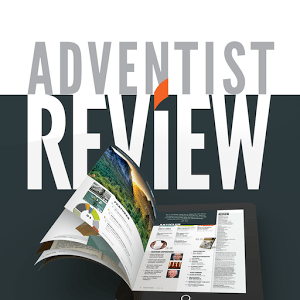 Review & Herald Publishing Association One of two major Seventh-day Adventist publishing houses in North America and is the oldest institution of the Seventh-day Adventist Church. The organization publishes books, magazines, study guides, CDs, videos and games. Sabbath School Personal Ministries Here, in one location, is all you need to develop and run a vital, transformational Sabbath School. SDA Net The moderated SDAnet mailing list has been operative since 1990 and tends to focus on theological issues. Contains searchable archives. Southern Union Conference Southern Union Conference of Seventh-Day Adventists, Decatur, GA, serving the south east states in the US. 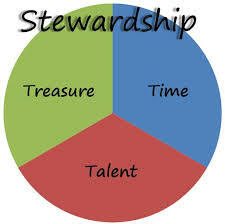 True Step Ministries Features a discussion panel of young adults exploring topics relevant to Christian. Voice of Prophecy A long-running Seventh-day Adventist religious radio broadcast founded in 1929 by H.M.S. Richards, Sr. One of the first religious programs in the United States to broadcast nationally. WGTS Radio WGTS 91.9 FM is a Christian radio station broadcasting from Takoma Park, Maryland. Captain Gilmer Christian School Captain Gilmer Christian School is an elementary program providing young people an opportunity to receive an excellent education in a Christian environment. Fletcher Academy Fletcher Academy, an independent college preparatory high school, exists to provide a distinctly Seventh-day Adventist education where spiritual development is bolstered with academic rigor, work skills, and character development. Mount Pisgah Academy Mount Pisgah Academy is dedicated to preparing young people academically as they continue their education and preparing them spiritually for eternity. Southern Adventist University Southern Adventist University is a Seventh-day Adventist college in Collegedale, Tennessee, owned and operated by the Southern Union Conference of Seventh-day Adventists.